In 2014, an immersive Bleacher Report study rated Chicago as the ninth-best sports city in the United States. The Windy City accumulated a final score of 78/100 across eight subjective categories. You couldn’t have handed Chicago sports fans a nastier insult if you had tried. Although various developments since the article was written would likely change its outcome if somebody re-conducted the study today (most notably the Cubs World Series victory last season since the championship pedigree of the city was one of the categories in the study), Chicago would settle for nothing less than a No. 1 ranking. Sports are vitally important here and people in the Windy City pride themselves on their rabid loyalty to all five major professional sports franchises in the city. And this loyalty has been tested. A lot. The Cubs just broke an unendurable 108-year string of losing, the decision making of the Bulls front office drives fans to the point of insanity, the White Sox had a long love affair with mediocrity before finally committing to the process of a full rebuild, and the Bears mostly just live in 1985 because they haven’t won the Super Bowl in so long. At least there’s the Blackhawks, a Chicago team that has made the playoffs nine years in a row and delivered Chicago with three Stanley Cup Championships in the last ten years. But even Chicago’s professional hockey team has been mired in mediocrity recently. Even during the lowest of low times, fans have drawn inspiration from hard working teams and players who seem to embody the essence of what it means to be a Chicagoan. Young Chicago athletes, who set their sights on someday playing in the same uniforms and on the same fields, courts, and rinks as their favorite Chicago professional athletes, draw motivation from the professional athletes’ own inspiring stories. This project tells the story of current and former high school athletes whose passion for Chicago sports assisted them in their pursuit of their own athletic goals. It also attempts to define what makes Chicago sports culture so unique compared to other cities. Texas may be known as the great football state, but Illinois has tradition, history, and fandom of its own that ranks right up there with them. Thirty seven current players in the NFL were born in Illinois, and that is part of a group of 1,086 players that have participated in a NFL game since 1920. Much of this culture is developed among the high school ranks, comprised of 8 different divisions and four more among the Catholic league. This has led to NFL greats such as John Lynch, Donovan McNabb, Antwaan Randle El and Shannon Sharpe. I spoke with Ross Read, who hosts a weekly show on Chicagoland Sports Radio focusing on the Bears, and Chicago sports as a whole. I also spoke with a former high school football player Joe Franzese who played defensive end and tight end at Lake Park High School in Illinois on the culture and dreams of players growing up in this state. Finally I spoke with Jazib Gohar, a Bears fan since he arrived in America. Gohar raved about the culture surrounding not only the Bears, but Chicago sports as a whole as one reason he was easily hooked as a fan. All three cited the history, tradition, and immense talent that has emerged from this state as primary reasons Illinois is considered among the elite football destinations in the country. Even in the South Side of Chicago at a baseball diamond they call Guaranteed Rate Field where a team that finished 67-95 last season played in front of an average crowd of 20,626 fans (fourth lowest average attendance in Major League Baseball out of 30 teams). But the Chicago White Sox have just entered the beginning stages of a rebuild so it’s okay, at least for now. The losses, not the attendance just to be clear. Because wound into the DNA of any worthwhile rebuild is intrinsic hope, belief, and inspiration that fans can grip tightly onto for the sake of their sanity. The Chicago Cubs, despite 108 years of soul-sucking losing, were always Chicago’s baseball darling while the White Sox are rougher around the edges and generally appeal to a more blue-collar demographic. The White Sox are often viewed as Chicago’s forgotten baseball team, and this label is accentuated by the lack of national media coverage and the recent success of their rival on the north side of town. It’s difficult to romanticize the South Side of Chicago, and the character of this White Sox team has adapted a distinct blue-collar personality from the neighborhood where their ballpark is situated. Perhaps this rough, hard-working, non-showy culture is what draws fans to the South Side team when the team to the north is much more popular and has finally figured out how to win. Initially, I didn’t care about the glamour. If anything, it was a deterrent. I was too young to know any differently. The White Sox struggle as a franchise, so being a fan is difficult. But now, being a fan of the workers and (this) blue collar team is meaningful, and keeps me as a White Sox fan, regardless of their atrocious performance. -Longtime Chicago White Sox fan Wesley Ward from Normal, Ill. Through the peaks and valleys of 117 years of baseball existence, the Chicago White Sox have successfully inspired generations of young baseball players who aspire to wear the vintage white and black uniforms and get their opportunity to take an at-bat at Guaranteed Rate Field in an MLB game someday. One of those young players is Jack Claus, a third baseman and pitcher at Wheaton North High School, who has drawn inspiration for his own baseball career from the White Sox (his favorite team) and Joe Crede (his favorite player). New York City, with its legendary playground culture and with the backdrop of Madison Square Garden, used to be basketball’s “Mecca,” but Chicago surpassed it. Take, for example, the McDonald’s All-American Game, which was hosted at the United Center from 2011-2017. A game featuring some of the best high school basketball players in the world isn’t held in one city for seven years in a row if that city doesn’t contribute to the framework of the sport. 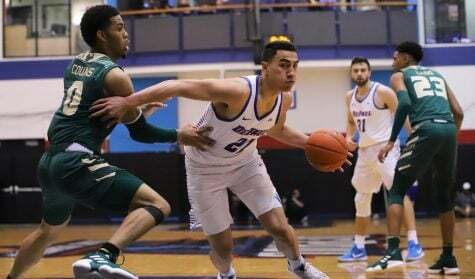 Now, statistics fluctuate from year to year, but typically, Chicago falls in the top three cities in the United States producing the most Division I basketball players. 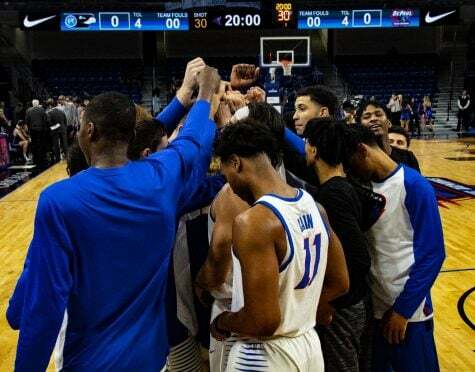 Last year alone, 51 Illinois high school basketball players were on an NCAA Tournament team’s roster. NBC Sports even did an article on it, and keep in mind, that none of those 51 players were playing on an Illinois college’s roster, but that’s a separate issue. In March, the Chicago Tribune did an article listing the 100 best Illinois high school basketball players ever, a list that included quite a few current and former NBA players. The prowess of the Tribune’s list wasn’t the fact that there were 100 great Illinois high school basketball players to name and rank, but the fact that they could even narrow it down. They did their best, but they couldn’t hide the truth. There are simply too many great basketball players who have played in the Chicago area. Need more proof? The list of 100 was followed by another mile-long list of honorable mentions, thoroughly proving how deep Chicago’s basketball talent runs. One of those “honorable mentions” was Iman Shumpert. That’s right, a current NBA player and a member of the 2016 NBA Championship Cleveland Cavaliers was on the “honorable mentions” list. Anoribe Nwannewuihe, a former collegiate basketball player at Division III Dominican University in River Forest, played his high school ball at Lindblom Math and Science Academy in Chicago’s Englewood neighborhood. He offered more proof of Chicago’s deep-seated basketball culture. When I was growing up, everyone wanted to go to Simeon [Career Academy]. Simeon was so good, that the 18th person on their freshmen team’s roster could go to any other school in the Chicago area and play varsity right away. That’s how competitive it was. But where New York City’s basketball culture relies on the etherealness of flash and rhythm, Chicago’s basketball culture carries something even more fundamental and simplistic: toughness and grit. High school basketball in Chicago is like football in Texas. Everybody wants to watch the best teams play each other. There’s such a rich history of high school basketball in Chicago. 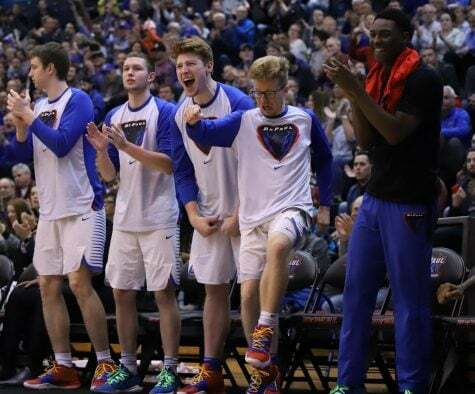 Tucker, a three-year varsity basketball player at Elmwood Park High School, received a scholarship to William Penn University where he played for one year before returning home to the Chicago area to play at Concordia University Chicago, a Division III school. Prior to Sullivan, Tucker also coached at Montini Catholic High School in Lombard and Luther North College Prep, which recently closed its doors. I grew up very poor and without basketball in my life, I don’t know where I would be,” Tucker said. “It’s been everything and more to me. Nwannewuihe added another, even more real, sentiment to the conversation. There are so many good basketball players I know of who didn’t finish because of grades or drugs. I would say half the battle of playing in Chicago is being able to just focus on basketball without getting distracted by what goes on off the court. Tucker and Nwannewuihe exemplify the hard-nosed culture of Chicago high school basketball. 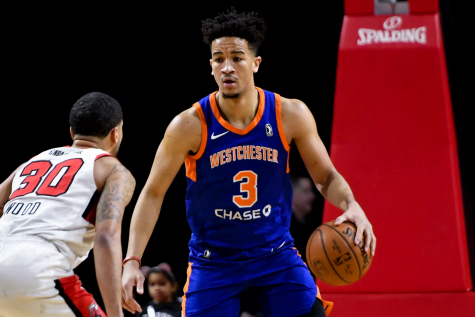 They both expounded on the cultural difference between high school basketball in the city versus the suburbs and how it serves as both an outlet and a distraction. Some of the kids I coach right now are coming from some of the poorest neighborhoods in the city of Chicago and, for them, just being in a gym for three hours is sometimes better than going home. This a huge outlet for them. 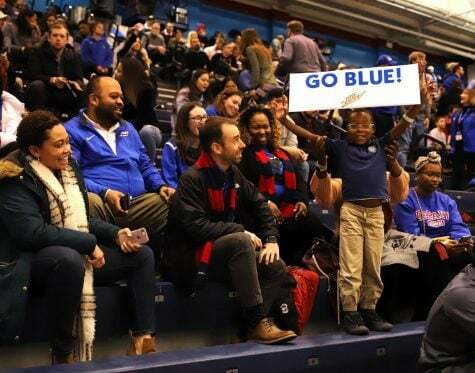 The socioeconomic gap and the barriers in funding are an unfortunate part of the divide in schools across America, but that pattern is all too real for some of the Chicago Public League’s schools and teams, and often times, it is on full display. If you walk into a suburban school in the Chicago area, more often than not, their facilities have recently been updated and they have the infrastructure that would help athletes succeed. Unfortunately, that is not the case for the Chicago Public League. “Most of these teams in the Chicago Public League don’t even have a gym. One of my friend’s coaches at Perspectives, which is where Anthony Davis went to high school, and they don’t have a gym. They don’t play home games at their high school. So, where do they play? Some of these teams are playing their home games at YMCAs or at different facilities around the city, and that, to me, is the biggest thing. I mean, how do you consider that a home game? The flipside of the coin is a suburban basketball player coming to the city. Logan Goss, a former collegiate basketball player at Division III Concordia University Wisconsin, played his high school ball in the Chicago area at Montini Catholic High School, where Tucker formerly coached. In terms of playing at an inner-city school versus at a suburban school, he notes the difference in the atmosphere from his own experiences. 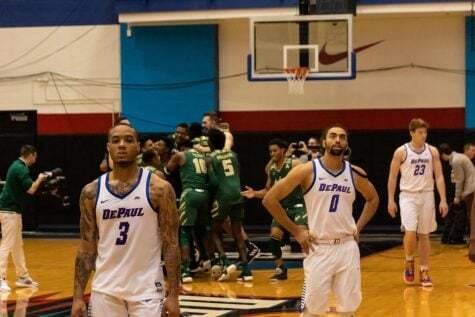 As a junior, I remember going to the west side of Chicago for a playoff game against Marshall High School and there really weren’t people watching, which surprised me because, at that time, Marshall was one of the better schools in the state. Coming from the suburbs, there is just a feeling you get walking into an inner-city school. You just get the sense that things there are neglected. 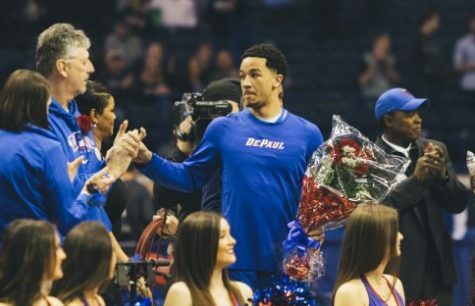 Goss joked that he got a similar feeling walking into St. Edward Central Catholic High School in Elgin, proving that old basketball rivalries in the Chicago area never die. Nwannewuihe also took note of the atmosphere surrounding some inner-city schools. I can’t tell you how many times we had to get dressed in dirty classrooms before we played because there was no locker room or, if there was a locker room, it was atrocious. Sometimes our coach would say, ‘Don’t leave anything around, I don’t trust this locker room. So, what did Nwannewuihe’s team do with their belongings while they played? I remember we were about to go out and play and we have our coats and our boots in our hands and we’d bring everything to the court and set it by our bench so we didn’t have to worry about something getting stolen while we played. Suburban schools have visiting locker rooms with showers. I mean, they’re nice. There is a clear difference. But, surprisingly, one of the biggest differences in the contrasting regions of Chicago is how a team gets to and from games. Most suburban schools have individual buses that take kids to games. In the public league, buses will run late and, as a result, teams will run super late to games. People always think it’s the coach’s fault, but that’s not how that works. It’s against the rules for them to even have a bus because it has to be through the bus company. That’s something that I didn’t know until this summer when we had that happen to us. Nwannewuihe remembers a time when this very problem happened to his team. It was the sectional game of my sophomore year. We had to change at our school and wear our jerseys on the bus so we could warm up right away. The final difference is the contrast in talent. When you play suburban schools, they, maybe, have one guy in the whole conference going to a Division I school. 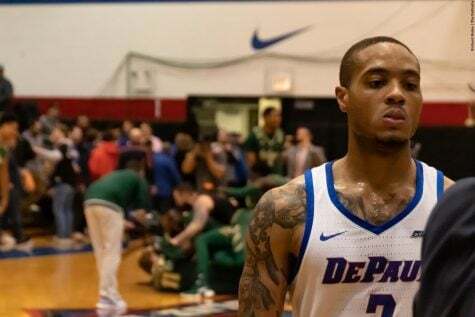 In the Chicago Public League, you might have multiple Division I players on the same team. And these guys are not just athletic, but tough. They get in your face, they get steals, they really go after you. Given Tucker’s, Nwannewuihe’s, and Goss’s backgrounds and experiences, their perspectives and insights provide unique viewpoints into the differences within the blue-collar, lunch-pail, defensive basketball culture of Chicago. One wonders though if that transfers to the Chicago Bulls. Bulls: The Epitome of Chicago’s Basketball Culture? Today, we can look back on Musburger’s statement with humor as we Chicagoans marvel at all that we have built, but Musburger’s point got me thinking: do the Bulls really epitomize Chicago’s basketball culture? The Tom Thibodeau teams were all about grit and grind. That was the epitome of a Chicago team; the idea that we’ll punch and claws you to death to win. Goss echoed Tucker, citing that Thibodeau had the quintessential Chicago defensive mindset. Chicago is known for that grind-it-out, defensive type games and Thibodeau resembled that same mentality. Since he left, that hasn’t really happened, although you can see glimpses of it in some players on the [current] team. The Chicago Bulls are a global brand. Whether you cite Michael Jordan or Derrick Rose, one thing is clear: Chicago is basketball’s “Mecca” and it will not be eclipsed anytime soon. Maybe I’m a little prejudice because, after all, I’m a guy who played high school basketball, and Division III college basketball, in the Chicago area against the likes of Anthony Davis, Tim Rustoven, and many other Division I basketball players. But the proof is in the pudding. In the end, Nwannewuihe offered one of the most integral parts of Chicago’s basketball culture. If you go and watch a Chicago Public League basketball game, even at the mid-level with kids who have community college aspirations, you see the intensity, the aggression, and the physicality. And it’s just amazing. Chicago sports are more than entertainment. They’re more than just a distraction from the monotony or distress of everyday life. In Chicago, sports are more than just a pastime or a hobby. Rather, they are an embodiment of a Chicagoan’s life as fans pour every ounce of their passion into supporting teams and players who personify their identity as a Chicagoan through how they play the game. When I come to the game, I see the guy selling the newspapers on the streets. [It’s] cold outside — when he sees me driving by, he’s excited. You know what I mean? He’s excited. He’s like, ‘All right. Let’s go Bulls! Get it done tonight!’ I feel like I play for that guy. Chicago sports and athletes, even through the darkest of rebuilds or in spite of the most incompetent of front office executives, inspire the next generation of Chicago athletes to strive to achieve their own version of greatness. Perhaps that is what makes Chicago sports so great.